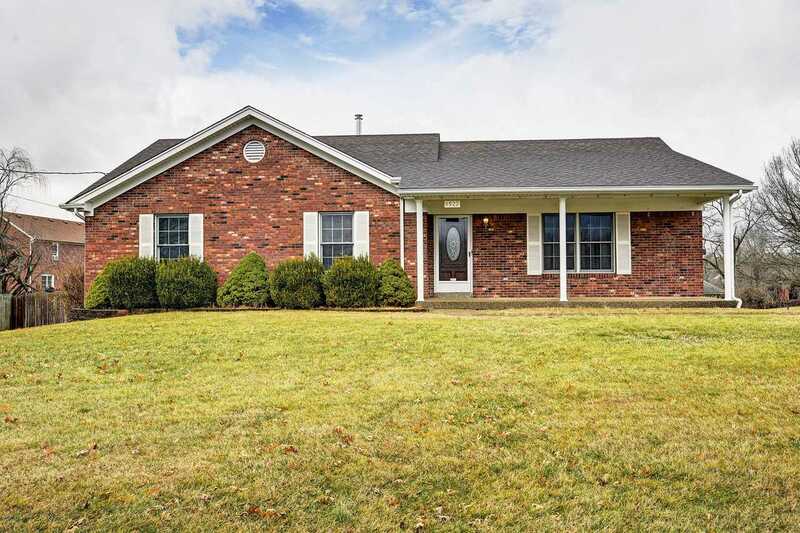 TRADITIONAL BRICK RANCH BUILT IN 2000 BY OWNERS. This well-maintained house boasts a new roof, a Clayton wood furnace (along with hi-eff York forced air gas furnace) and a hard-wired security system. Hardwood floors are in all 3 bedrooms, the hall and living room. 3 bedrooms and 3 baths including an owner's suite with shower and ceramic floors. The laundry room is accessed through the owner's bathroom. The living room is spacious and has a fireplace with gas insert. A hall bath includes a tub withshower. The lower level is unfinished, but offers a third full bath with shower and a ton of storage or work space, a sliding wall separates this space from the 2-cargarage. Finally, enjoy the country views from the front porch, back deck or gazebo in the back yard. Directions:Gene Snyder to Preston Hwy to Glen Rose, home is on the left. SchoolsClick map icons below to view information for schools near 4922 Glen Rose Rd Louisville, KY 40229.